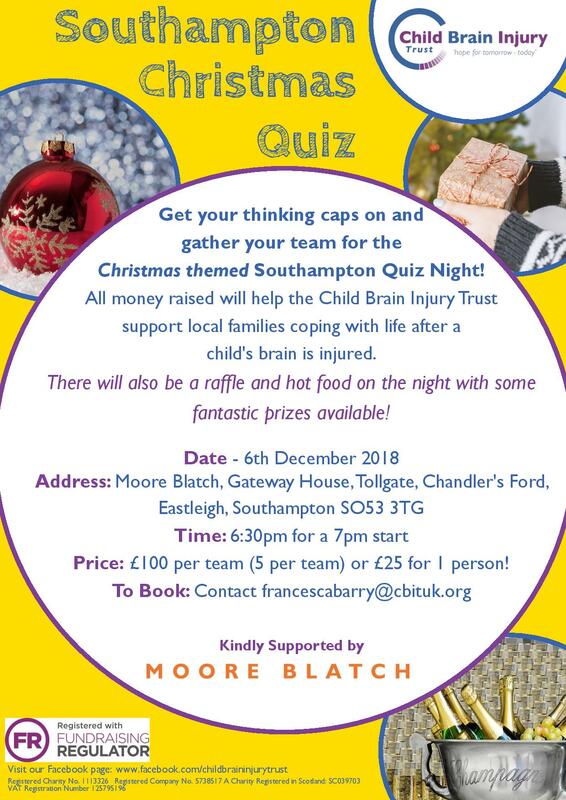 Get your thinking caps on and gather your team for the Christmas themed Southampton Quiz Night! All money raised will help the Child Brain Injury Trust support local families coping with life after a child’s brain is injured. There will also be hot food and a raffle on the night with some fantastic prizes available!